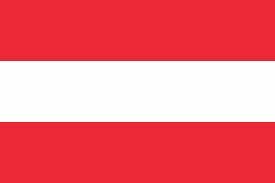 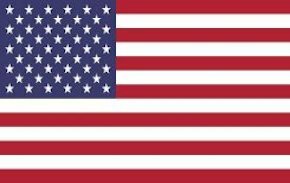 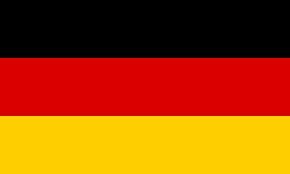 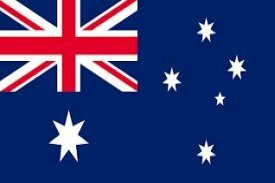 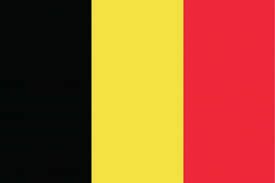 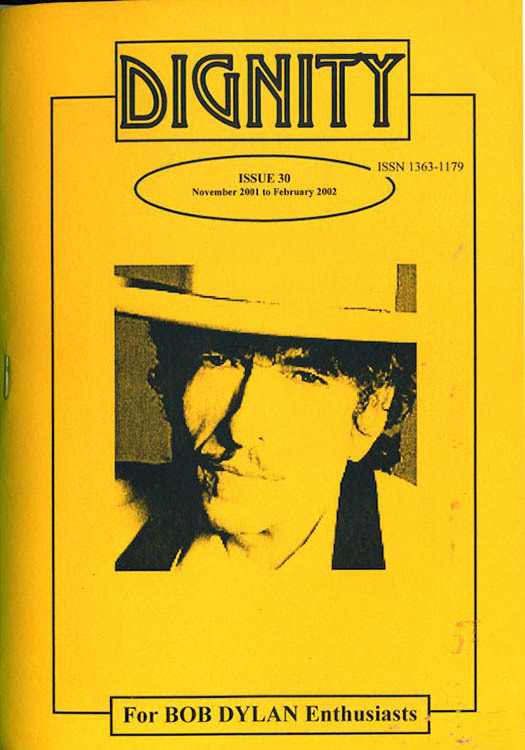 November 1995 - February 2002. 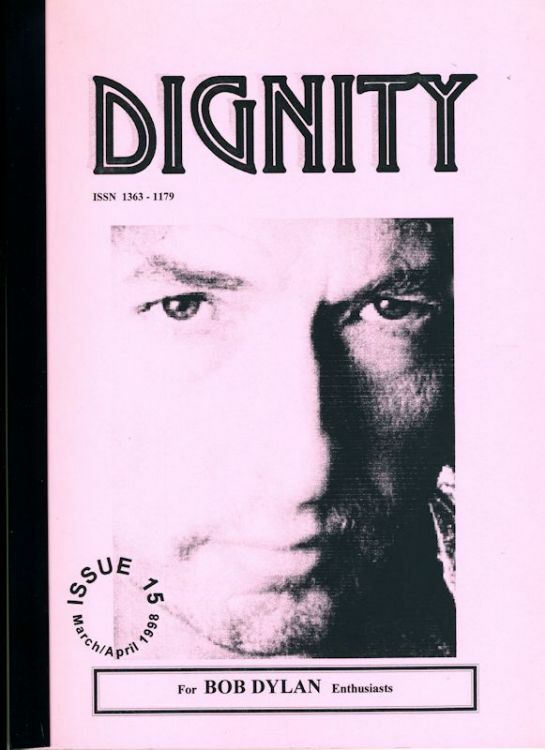 Issues #1 to #16 were A4 size, then A5 from #17. 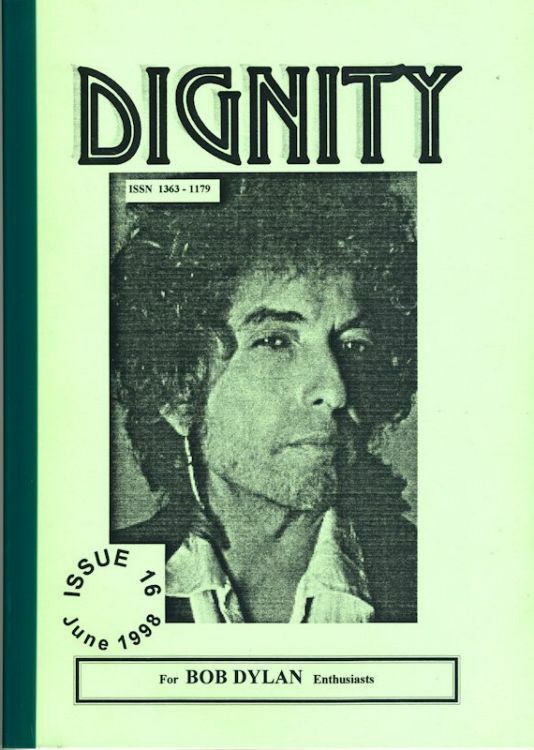 Editor John Baldwin (Jeff Guberman also for first few issues). 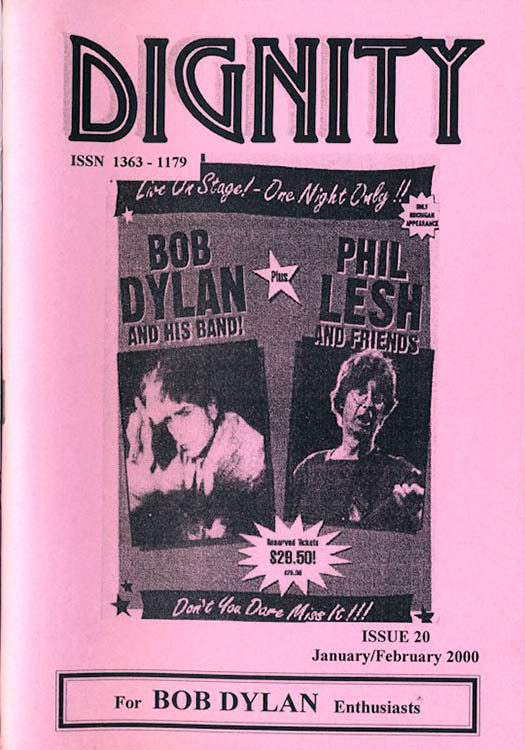 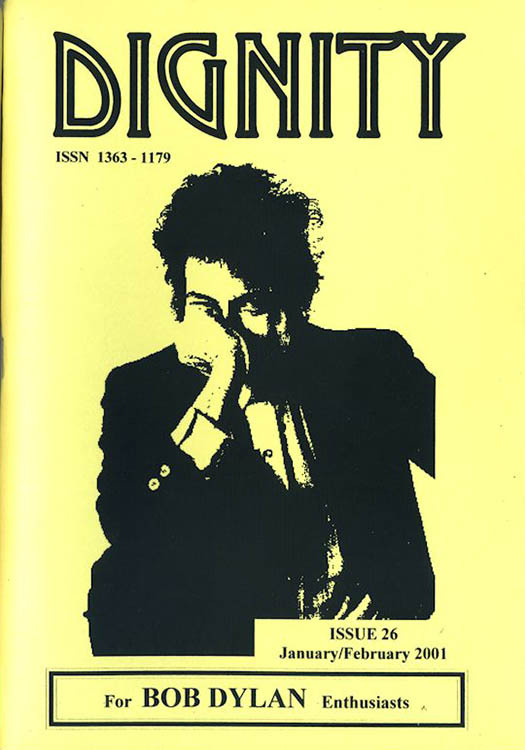 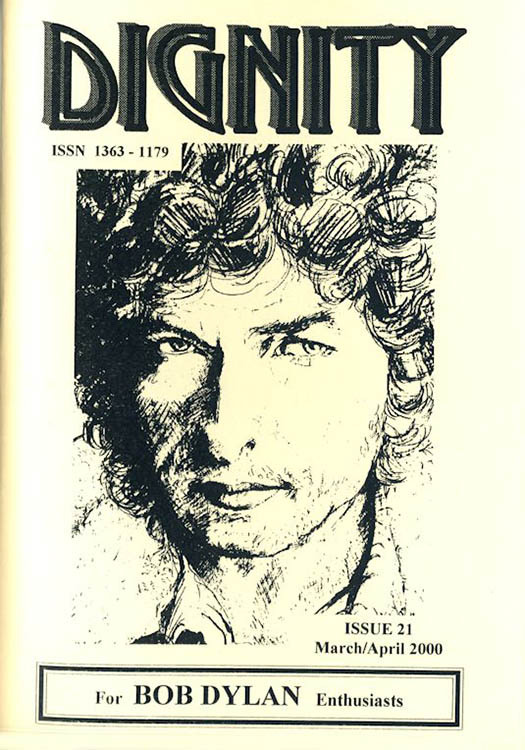 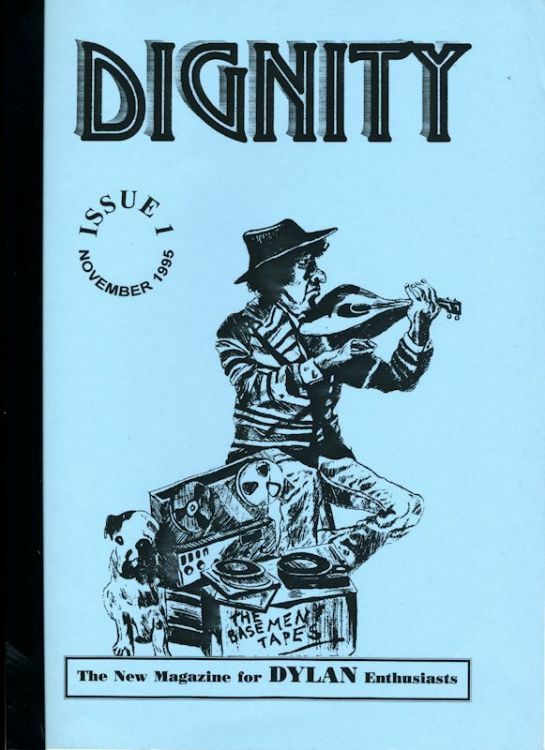 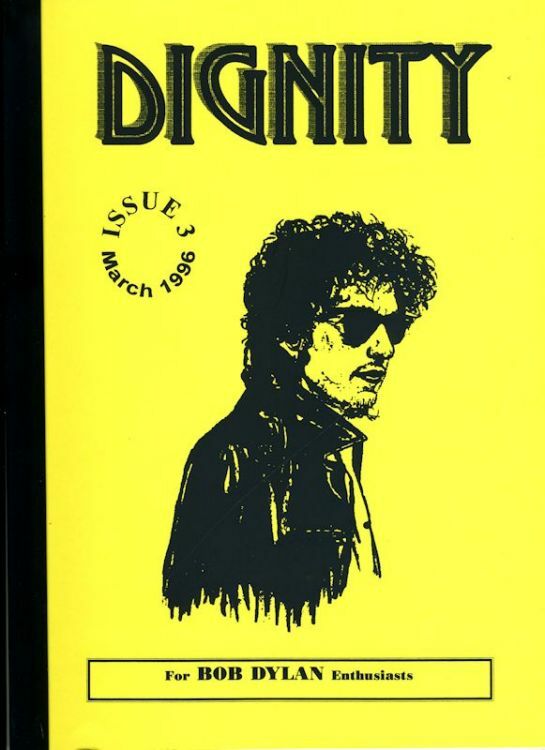 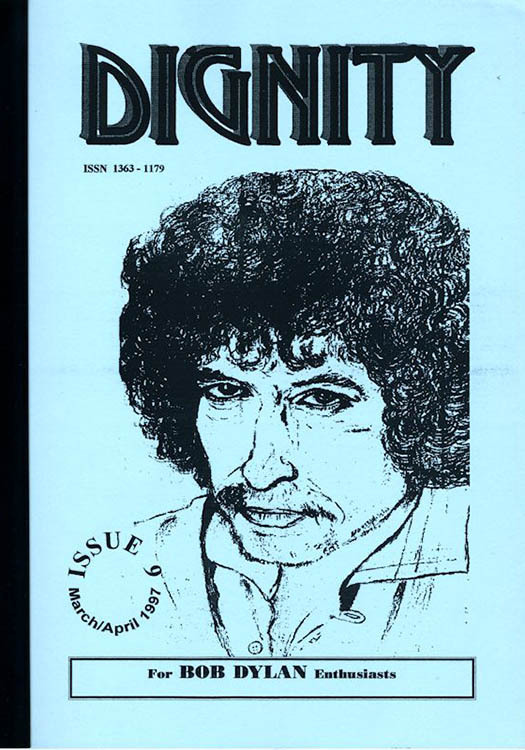 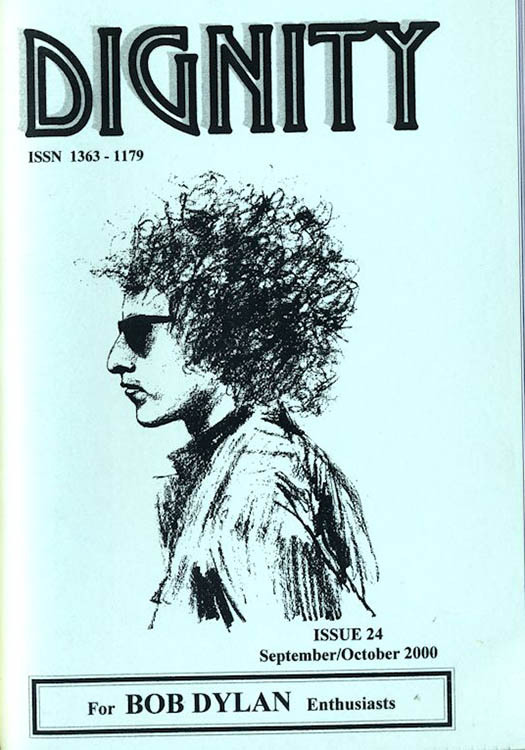 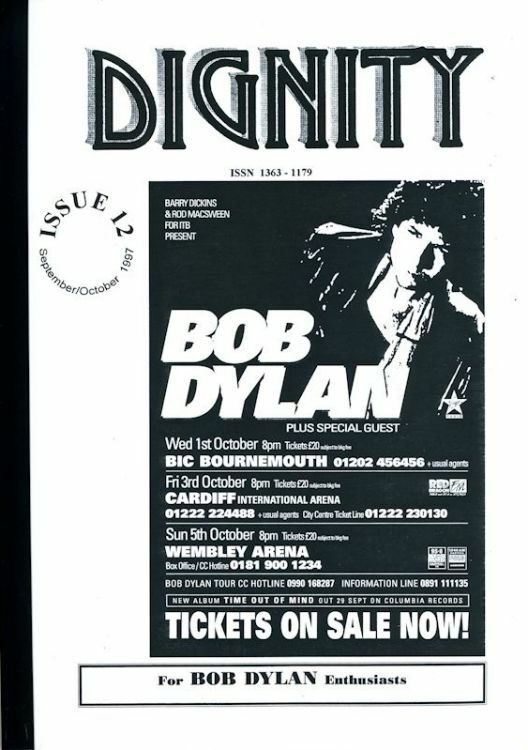 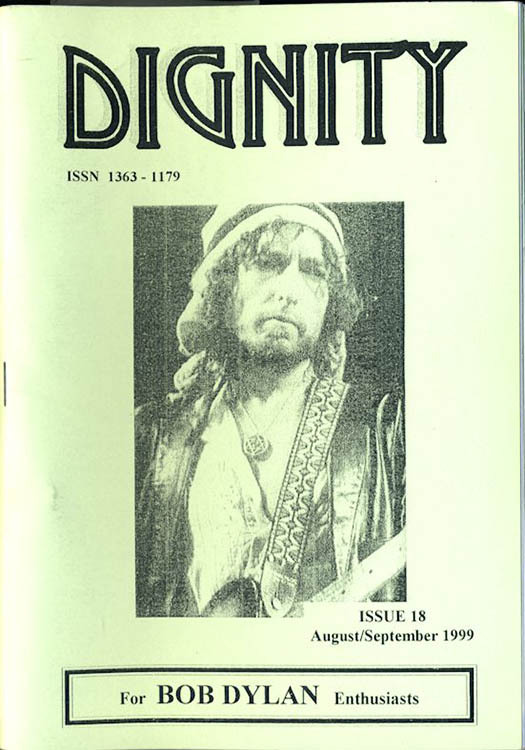 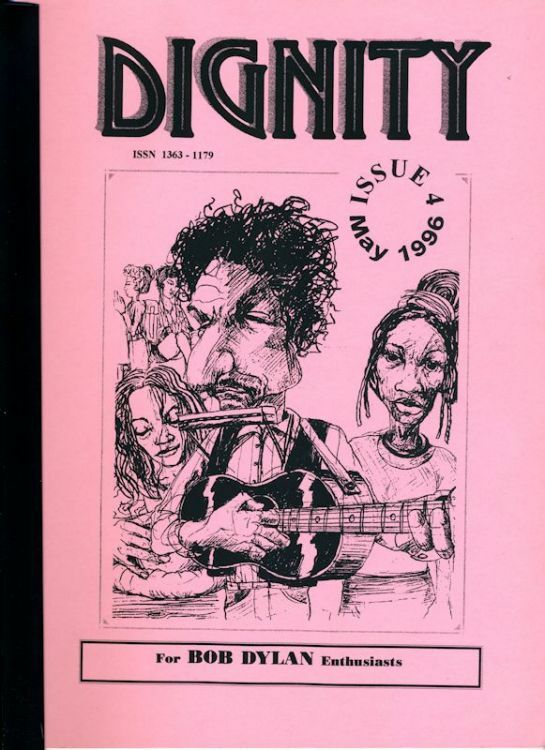 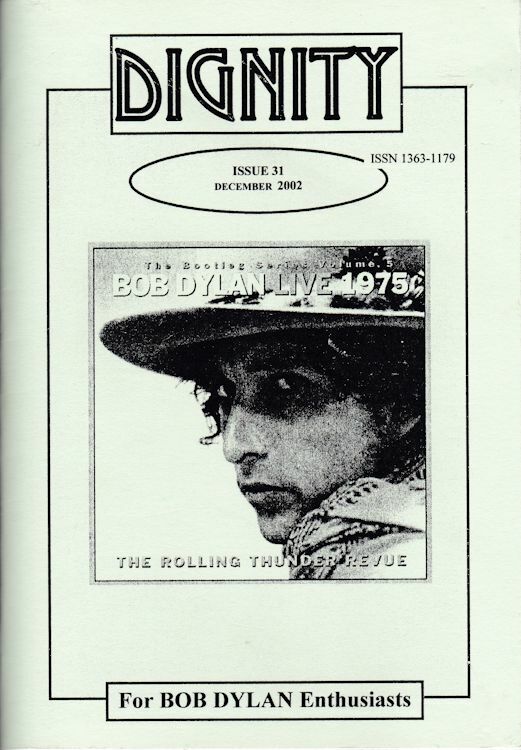 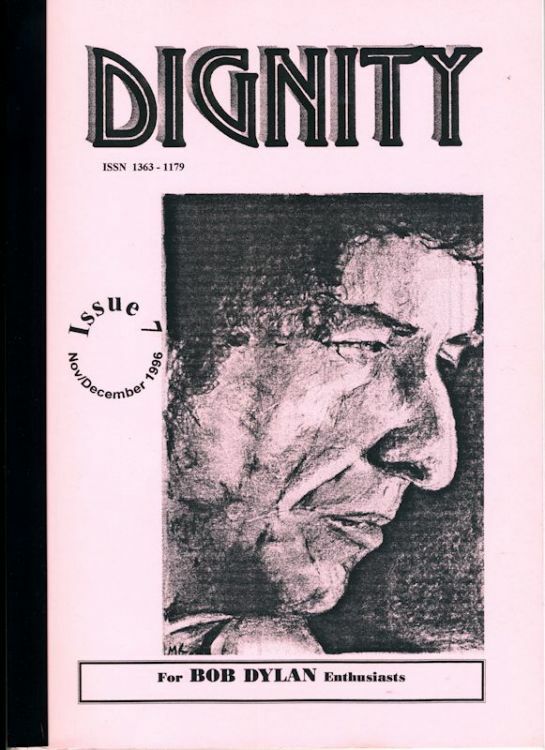 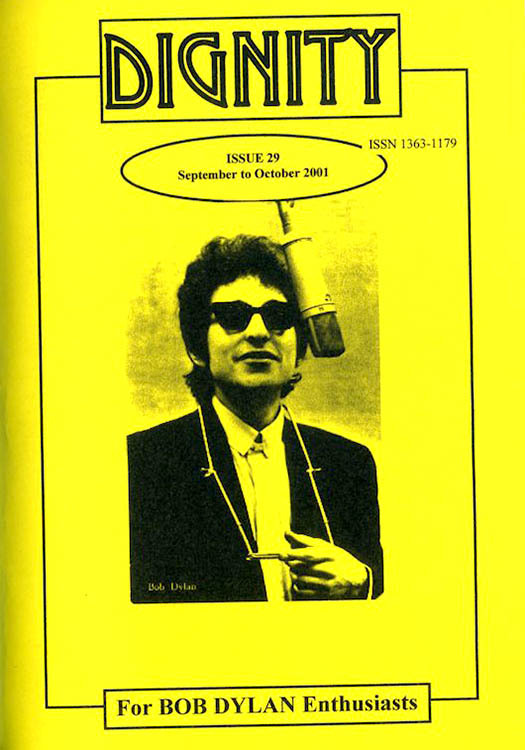 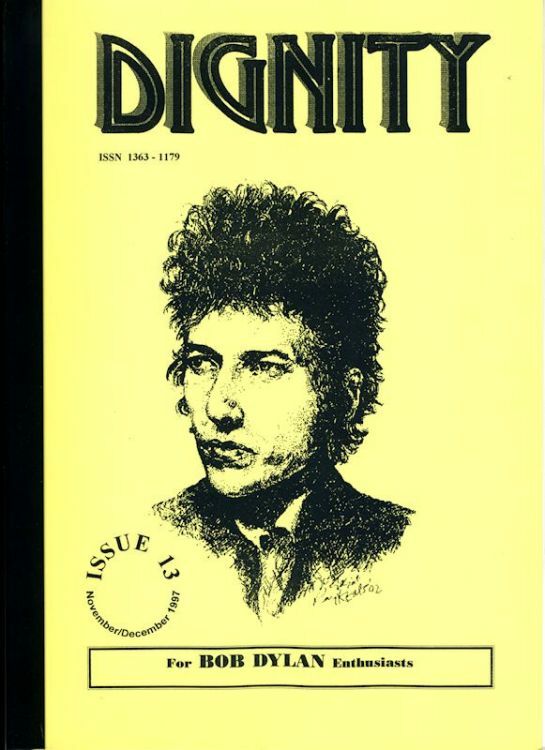 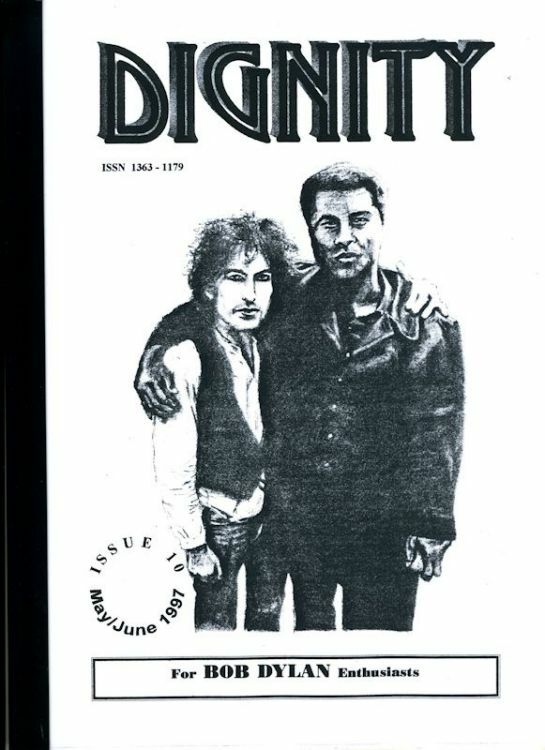 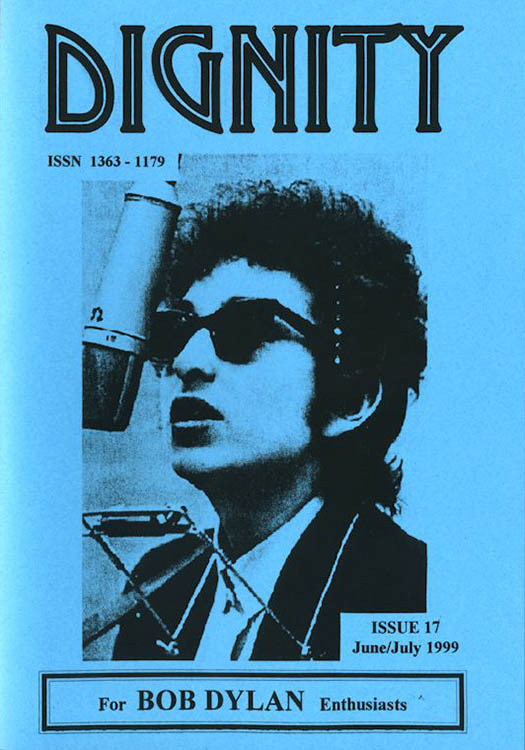 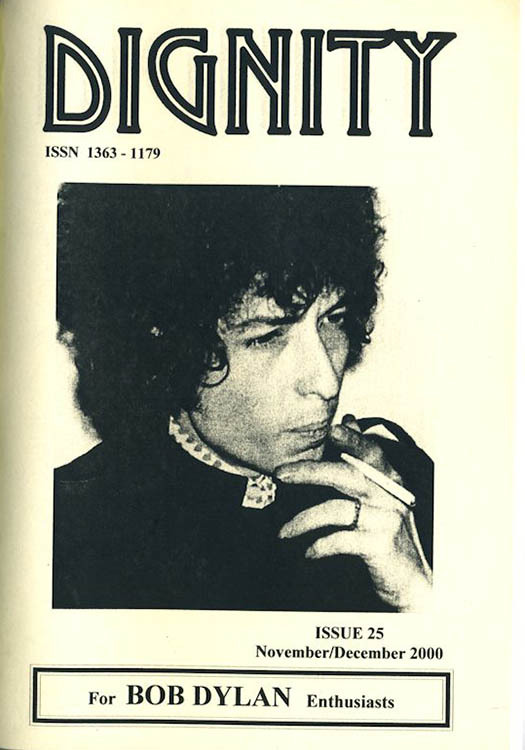 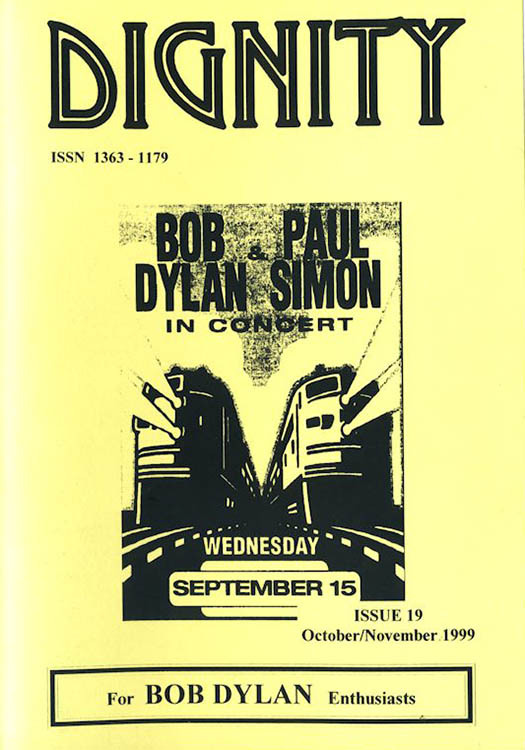 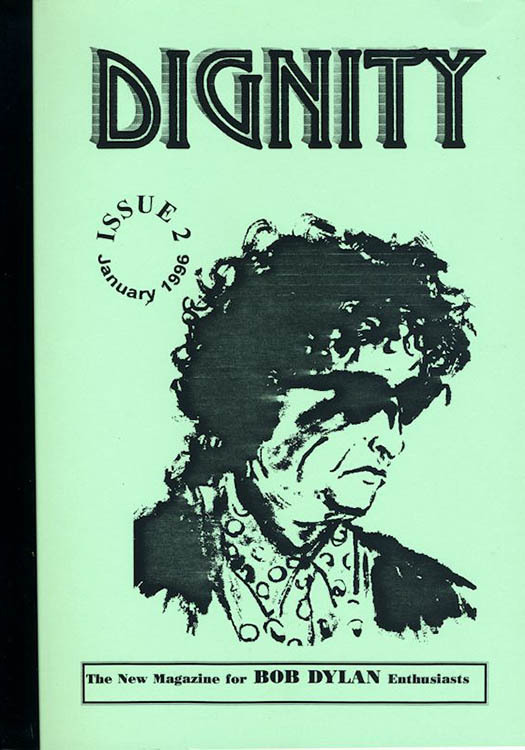 It was a bi-monthly fanzine devoted to all that is Bob. 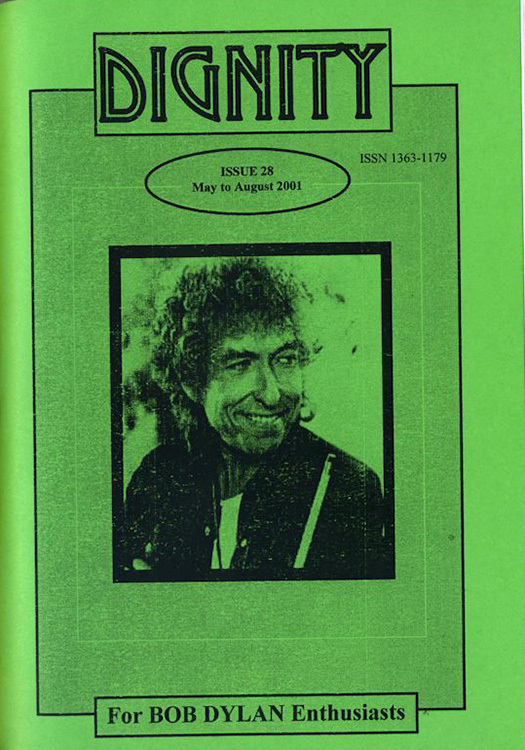 A typical issue consisted of 64 pages crammed with articles and reviews on anything to do with Bob. 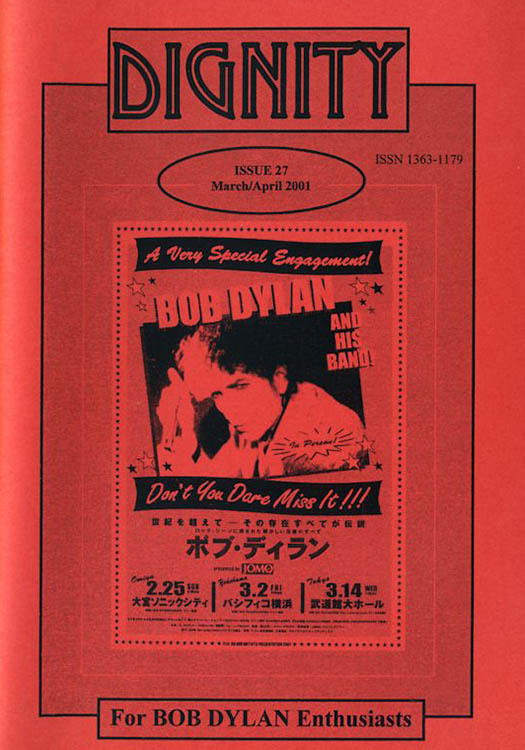 The emphasis was on serious articles and fans own opinions; there was plenty of room for humour. 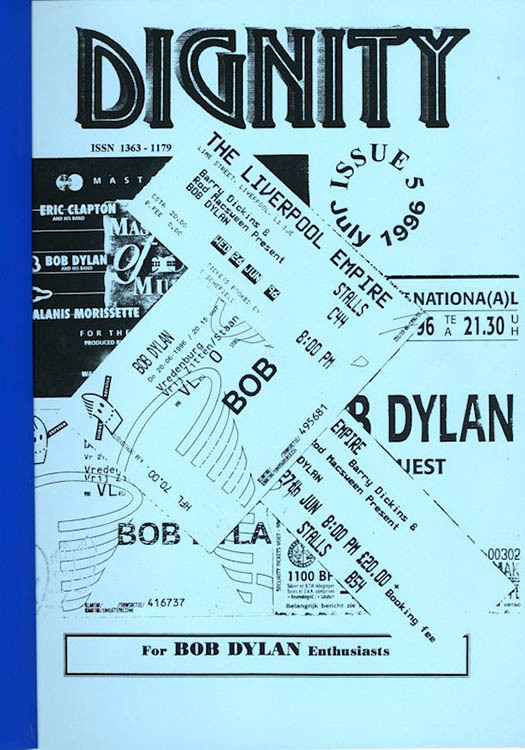 Analysis and personal views were encouraged and there was always a full coverage of recent and upcoming tours with reviews from fans and the press. 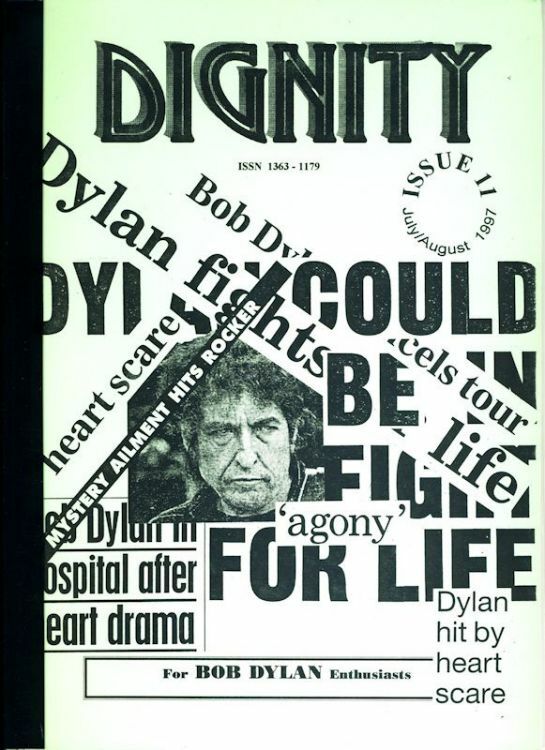 New books and other Dylan products were reviewed and there was always plenty of interaction with the readership in the reader's columns. 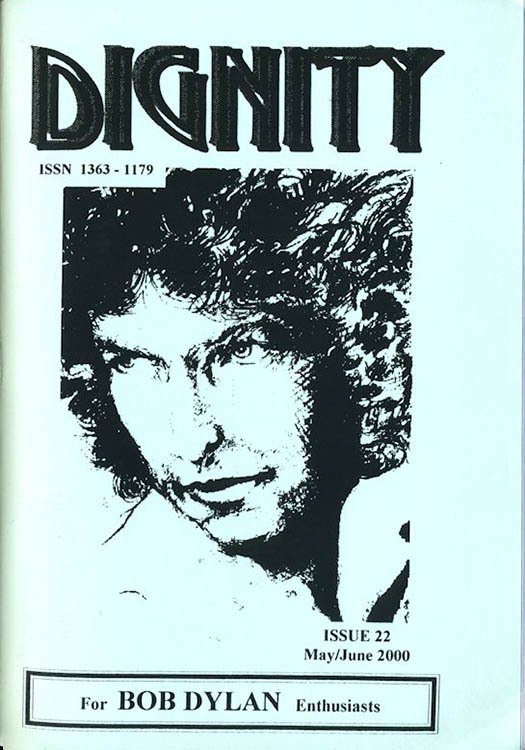 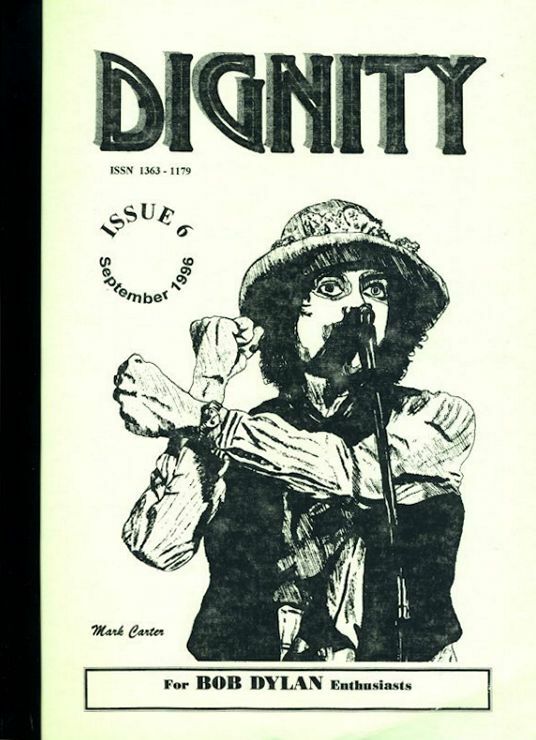 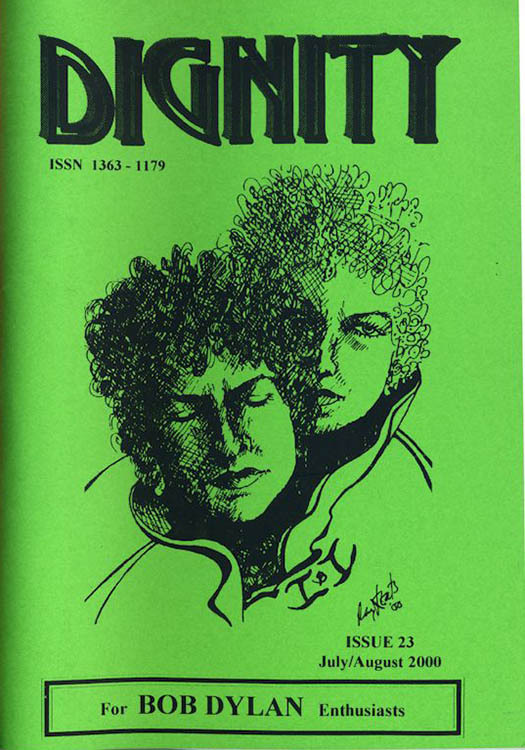 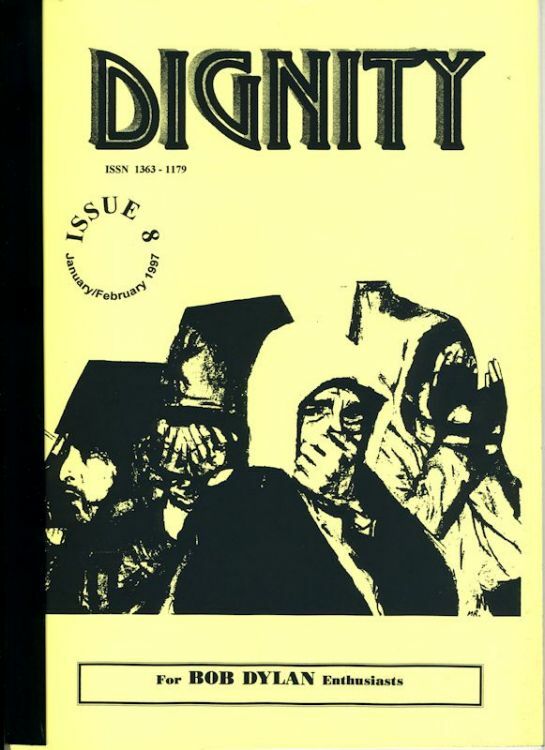 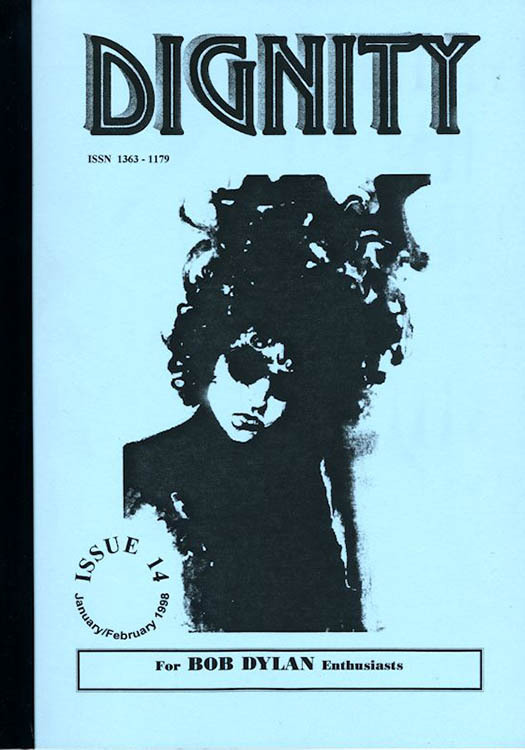 Dignity did not try to duplicate what other fanzines were providing.